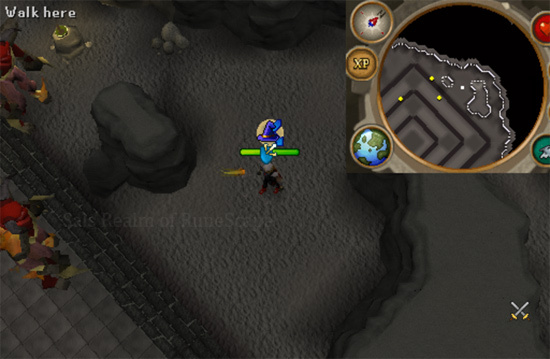 This guide will teach you how to fight and kill the mighty Tormented Demons. Please be aware this monster is extremely dangerous and can kill you very quickly! Only try and kill them if you are willing to lose your equipment as odds are they will kill you at least once before you fully understand the technique. 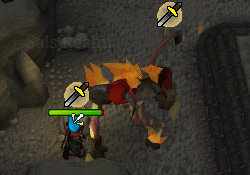 Although they are a difficult monster, they drop the mighty Dragon Claws and the several pieces needed to smith the Dragon Platebody (made from a Ruined Dragon Armour Slice, Ruined Dragon Armour Lump and Ruined Dragon Armour Shard). 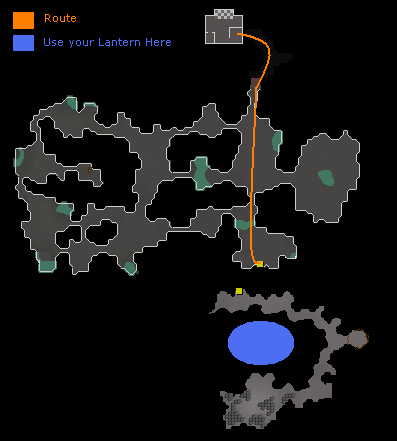 The first and most important requirement needed for Tormented Demons is the completion of While Guthix Sleeps, on top of this you need to keep the Sapphire Lantern that you used to descend into the area where the final showdown in the quest takes place. 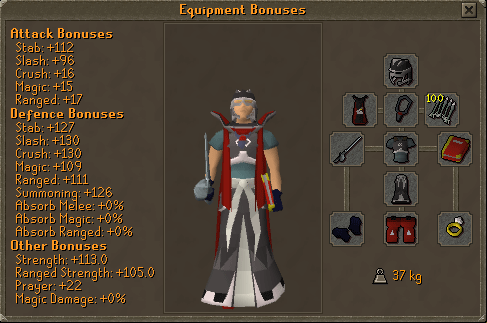 The last essential piece of equipment you need is the Darklight Sword, it is needed to lower the shields of the demons. 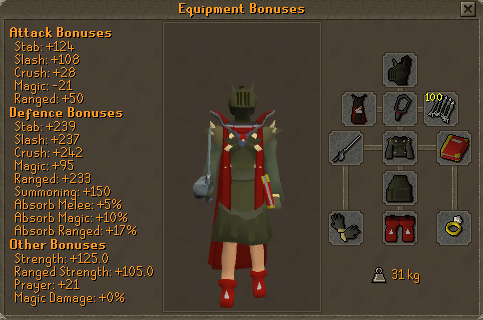 Something to note before we go into equipment and armour, you will always need to bring at least two methods of attacking like Melee and Range. In terms of armour there are several methods that you can use, but no matter what armour you have it will not protect you from their variety of attacks so you will need to Prayer swap, but we will get to that later. 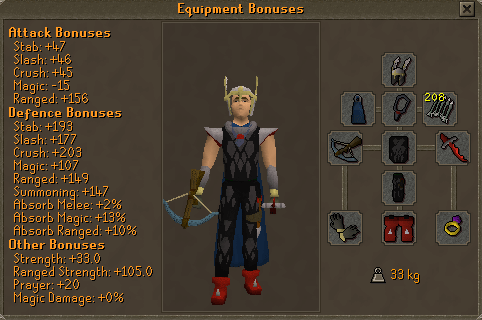 First let's talk about all the choices of armour you can use (please note, you can tweak all of the armour sets the more experience you get, these are just recommendations). Void Armour is great for a boss like this as it requires you attack with several attack methods and you can easily change a few pieces of equipment and keep high damage for all of your attack styles. With Void an extra risk is added to the demons, Void has very low defensive stats and because of this unless you are a master of prayer swapping, odds are you will be hit hard and often. 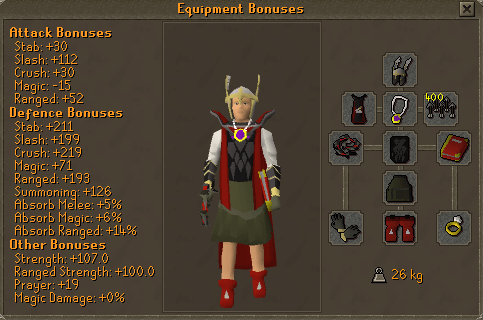 This is the set of armour that I recommend, please note the shield slot can be swapped out if you want more defensive or offensive stats. 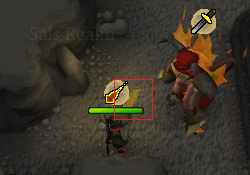 Something to note (this only works on the first three luring spots), you can bring a Dragon Halberd as your primary weapon against the demons and it allows you to stay out of their melee range as well as giving you some huge special attack damage. You have seen the equipment that you should aim to get now, but there are several things that you should know about these inventories and some precautions you should take. 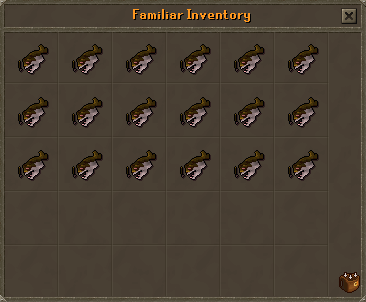 The amount of food in these inventories is well over what you need; this is just so that you can get the feel for the boss and not have to worry about dying. However, it is highly recommended that the more experienced you become with killing the Demons, the less food you should bring. 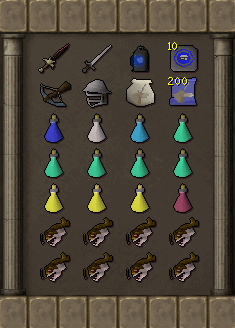 You should keep this pattern up until eventually you are bring no food but your unicorn which should be more than enough per trip. If you do not have a unicorn and are relying on normal food or potions for healing, then stick with the welfare setup and gradually reduce the amount of rocktails you bring. In case you actually die, there is something I insist you do before going down into the demons layer, make extra Sapphire Lanterns! 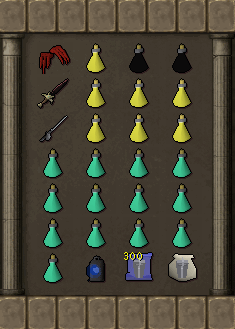 If you die you will need another lantern to get back down to your grave, and normally it will take you 2-3 minutes tops to get down there, so if you die just relax go to your bank and run to your grave. You will make it! Getting to the Tormented Demons is very simple. 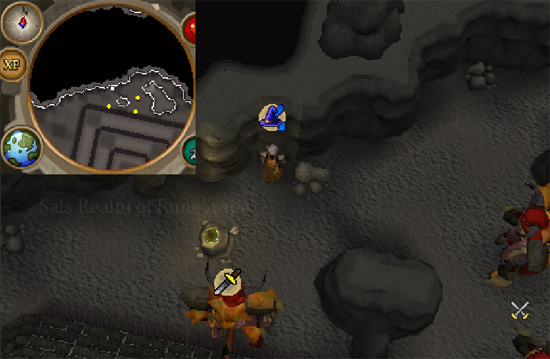 They are located in the Ancient Guthix Temple. 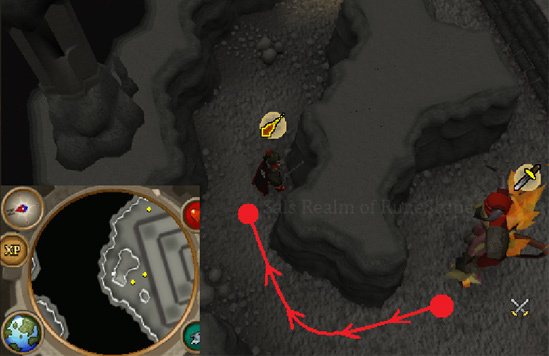 There is a map below showing the route you take from the Lumbridge Castle Cellar. 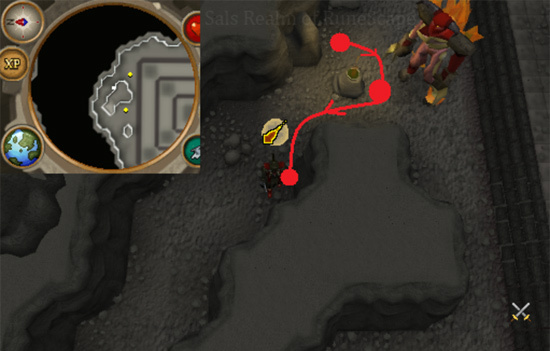 After you get into the cave follow the same route you took during While Guthix Sleeps, until you get close to the area that you found the Stone of Jas, when you get close stop and prepare yourself. In the next area you are going to encounter the Tormented Demons and I suggest that you stop and make sure that you are calm and make sure to read the next section of the guide as it is vital to your survival in your showdown. For fighting Tormented Demons there are three techniques that you need to learn, they aren't particularly difficult, however I suggest that you practice the second of the techniques a bit before hand. 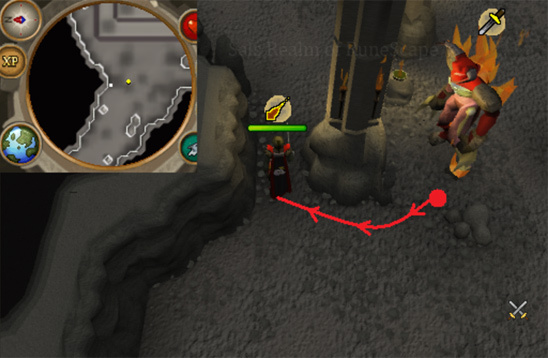 This lure works both ways, you can go in the opposite path, only if the demon is to the north of the pillar instead of south. 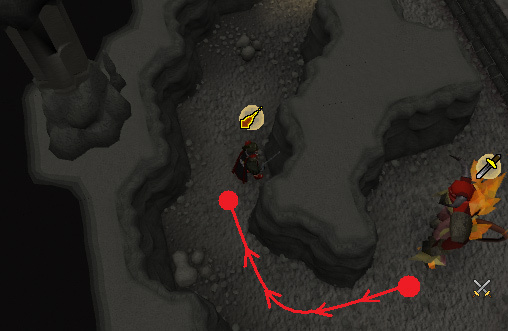 This spot is pretty bad however, two demons frequently walk past it unless they are also being lured by someone which means odds are you are going to get crashed by a different demon, so it suggested that you use one of the other spots. 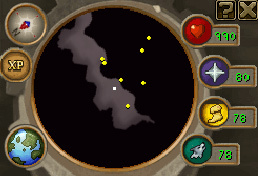 When using this spot, go on to the RuneScape Official Forums and search for people looking for a partner on the western rock, if you get one you will have someone to lure the demon to the east as well making this the best spot to use. The catch with this spot is that it is normally in use and you will have to hop a few worlds before you get the chance to control it. 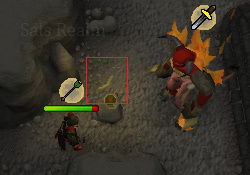 The technique on luring the crasher demon is shown in this image. The first spot is where you stand to take the shot at the demon, then run to the second for a few seconds to get the demon round the pillar and finally into the safe zone so that the demon is in the perfect spot. This is the final spot, in this position stand beside the demon to attack him and make sure that when the Protect from Melee icon appears above its head get the Steel Titan (you must first call it or it will not be able to help you) to attack with its special dealing heavy damage, this is how you get a higher kill count per hour. 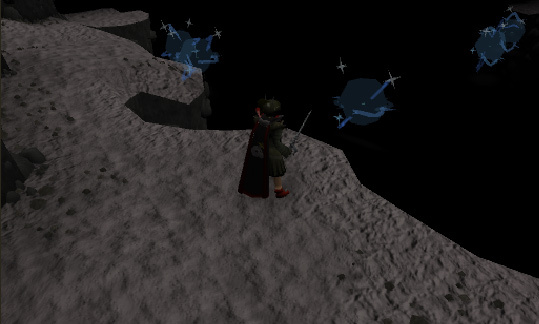 This spot is extremely dangerous to those who aren't prepared, but it offers you a spot without other players that could potentially ruin your lure. Now that you know the luring spots, we move onto technique two, spotting which type of attack the demon is doing. 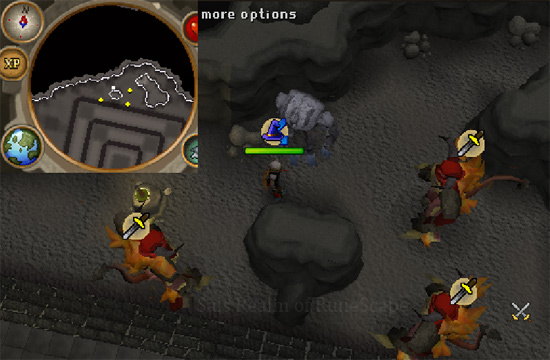 If you have ever read a guide on how to fight Jad, a similar technique is used here. You need to keep an eye on the movements of the Tormented Demon and from that you can predict what attack he is going to use. You can also guess when the Demon is going to change its attack style as it is normally changed just after he does his group mage attack. 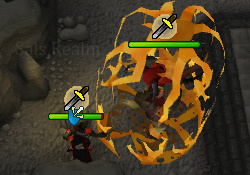 Below is a picture of each of the attacks the Demon does (Mage, Range, Melee and Group Mage). 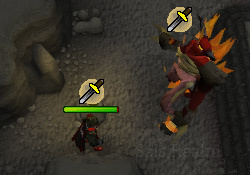 This attack is very obvious, the demon just tries to slash you. This is the simplest of the techniques, all you have to do is watch the protection prayer that the demon is doing and attack in a style that isn't the one shown. This is why you bring multiple forms of attacking, however it is important to note that damage is not as important as you watching his attacks. Your primary focus should be to watch the attacks and when you have the right prayer swap your weapons. To make this process a lot faster, use F-keys. 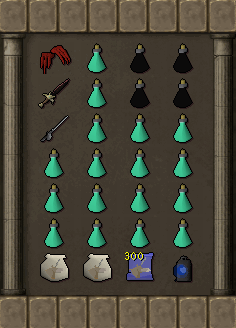 F1 swaps to your inventory which lets you pick your weapons, and F3 swaps to your Prayer interface which lets you swap your prayers faster. 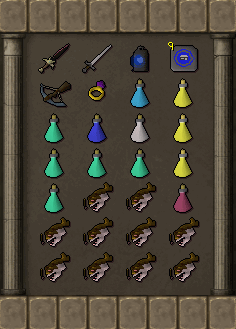 What I like to do is line up my weapons so that they are on the same row as the Protection Prayers to further speed up the process. It is also worth noting that F5 brings up the weapon interface allowing you to do special attacks quickly as well.